In verses such as Noach 8:1 ("And God remembered Noah and all the beasts and all the cattle that were with him in the ark, and God caused a spirit to pass over the earth, and the waters subsided"), what does it mean for God to "remember" something? Does this not imply that He "forgot" something? What does it mean for God to be "reminded" of something? I am looking for sources that explicitly discuss this topic. And saving creatures from something that afflicts them, this is called "remembrance". As in his statement: "And God remembered Noah" (Gen. 8:1), "and God remembered Rachel" (Gen. 30:22). R. Elijah Mizrahi similarly writes (Gen 19:29 s.v. k'shehaya) that remembering refers to saving. See also Hovot HaLevavot (Sha'ar HaYihud: 10). ויזכור אלהים - חלילה להיות שכחה לקטון שבמלאכי השרת, אף כי ליוצר הכל, שאין שכחה נגדו... רק כאשר תראה טובת השם בארץ ידבר הכתוב, כי זכר אשר הטיב לו בא לפני השם. And God remembered: heaven fore-fend that forgetfulness apply to the least of [God's] ministering angels, let alone to the Creator of everything, for there is no forgetfulness that can apply to him...Just that when God's goodness is manifested in the world, the verse will describe it as a remembrance of goodness done to God, coming to him. Radak writes very similarly (ibid). He applies the principle that "the Torah speaks in the language of Man", (cf. Berakhot 31b, Moreh Nevukhim 1:29) to explain that the Torah uses terminology familiar to humans in reference to God, even though their most literal meaning doesn't apply to him. He uses this to similarly explain "But I will for their sakes remember the covenant of their ancestors" (Leviticus 26:45), and related verses. This 18th century commentary of R. Naftali Hertz Wessley cites support for such explanations from Genesis (40:29) "Yet the chief butler did not remember Joseph, but forgot him". Certainly, he asserts, the butler often remembered his time in prison and his experience with Joseph there. The term "remembering" in that context, therefore refers to focusing on something's characteristics, in order to respond positively or negatively to something. The butler ignored Joseph, so he is said to have "forgotten". Similarly, when God is said to forget or remember, it refers to his behaviour. Why do you forget us forever; forsake us for the length of days. The structure of the verse parallels לָנֶצַח with לְאֹרֶךְ יָמִים (terms for eternity), and תִּשְׁכָּחֵנוּ (forgetting us) with תַּעַזְבֵנוּ (abandoning us). The bible is using a language we humans can understand. G- d does not forget anything. All our lives are recorded, even every word we have spoken. But He will not remember our sins,if they are forgiven (Isa 43:25). "I will remember their sin no more" (Jer 31:34). When G-d "remembers" it is often related to His covenants He made. With Noah (Gen 9:15+16) an everlasting covenant: with Abraham, Isaac and Jakob (Exo 32:13) BTW this covenant includes the land,"this land will I give to your seed and they shall inherit it for ever" "and I will remember the land" (Lev 26:42). When G-d remembers according to His word, it can be for salvation, but also for judgment. "And they consider not, that I remember all their wickedness" (Hos 7:2) But in spite of this G-d will remember His covenant with Abraham and establish an everlasting covenant (Eze 16:60), where the people will not be taught, but will know G-d personally (Jer 31:31-34). Not the answer you're looking for? 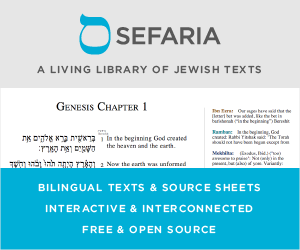 Browse other questions tagged hashkafah-philosophy tanach theology parashat-noach memory .